HOUSTON, Nov. 15 (Xinhua) -- A drug that kills cancer by damaging DNA also attacks heart muscle, which for some patients leads to heart failure, a new study by U.S. scientists shows. Scientists at the University of Texas MD Anderson Cancer Center and Texas Heart Institute at St. Luke's Episcopal Hospital have discovered how the drug, doxorubicin, attacks the heart, opening potential new options to prevent or minimize the drug's life- threatening side effects, according to the online edition of Texas Medical Center News released Thursday. Doxorubicin, brand names Adriamycin and Rubex, is a 50-year-old chemotherapy drug still widely used against a variety of cancers, including breast, ovarian, lung and bladder cancers as well as leukemia and lymphoma. "However, its use is limited by its cardiotoxicity. We're excited because we've identified the molecular basis for doxorubicin's damage to the heart," said Edward T.H., chair of MD Anderson's cardiology department and senior author of the study. Understanding the steps the drug takes when attacking the heart can help researchers identify those patients who are sensitive to heart damage by doxorubicin, Yeh was quoted as saying. "Once identified, those patients can be placed on alternative cancer drugs, or on special drugs to protect the heart," Yeh added. Yeh and his colleagues showed that when a protein known as Top2b was eliminated in the heart muscles of laboratory mice, the mice were protected against and avoided heart damage from the toxic side effects of doxorubicin. This finding suggests that Top2b triggers the drug's effect on cancer patients, said Yeh. "This is obviously a significant finding," he said, "and one with the potential to help scientists develop a blood test to predict patients' sensitivity to this drug, and to completely eliminate its dreaded side effects." Researchers from the Shanghai Jiao Tong University School of Medicine in China and the Robert Wood Johnson Medical School in New Jersey also participated in the study, said the report. A nutritionist, Mr Philip Amiengheme said Moringa helps to balance the cholesterol level in the body as each part of the plant has nutritional and medicinal values. Amiengheme who is president of Advocacy for the Prevention of Non-Communicable Diseases Initiative (APNDI), an NGO spoke to the News Agency of Nigeria (NAN) in Abuja saying that Wikipedia describes Moringa as the sole genus in the flowering plant family Moringaceae. The name is derived from the Tamil word Murunggai or the Malayalam word Muringa, both of which refer to M. Oleifera. It contains 13 species from tropical and subtropical climates that range in sizes from tiny herbs to giant trees. "Moringa is the most nutritious plant discovered on earth. Each part of Moringa has nutritional and medicinal values. "It is widely promoted in poverty-stricken areas to counter malnutrition for the effects can be seen in a few days of including it in the diet. He said the general rule was that the nutrients work together best in combination with other minerals and vitamins than taken alone, saying the leaves are the most nutritious part of the tree. Amiengheme said, "Moringa is rich in Vitamin A, it has four times more Vitamin A or carotene than carrots which is a weapon against blindness. "It is also a rich source of Vitamin C, it contains Vitamin C seven times more than oranges. "Normally milk is said to be a rich source of calcium but the amount of calcium present in Moringa leaves is way higher than in milk. NEWTOWN, CT, June 28, 2012 --/PRNewswire-iReach/ -- In an independent test, Moringa oleifera scored the highest in antioxidant content of any food yet discovered. Beating the record-holding acai berry by over a 50% margin, Moringa Source Moringa oleifera leaf powder measured over 157,000 umoles using the Oxidant Radicals Absorbent Capacity (ORAC) system of measurement developed by the National Institute of Health's National Institute for Aging. 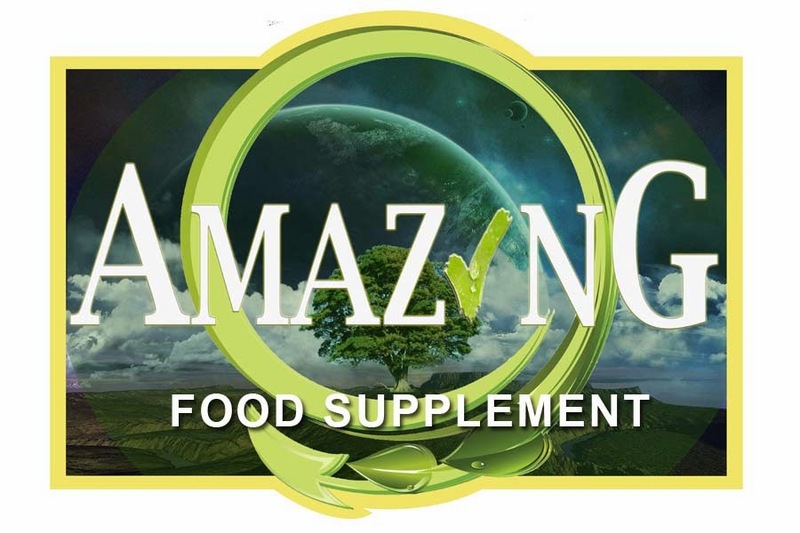 "We are very encouraged by the ORAC results because it signifies Moringa Source Moringa oleifera leaf powder has twice the radical-quenching power of Baobab and several other superfoods making it the most antioxidant-potent food on the planet," said Jim Fitzpatrick, co-founder ofMoringa Source, the premiere company dedicated exclusively to natural Moringa nutritional supplements, beauty products and tea. "While clinical trials are necessary to show the definitive effect on the human body, this is overwhelmingly positive for Moringa oleifera." Known as the "Miracle Tree," Moringa oleifera's naturally-occurring antioxidants support the prevention of cancer and other diseases that attack the body's cells. Antioxidants, such as those found in Moringa Source's comprehensive line of Moringa products, aids cell restoration, which can combat oxidative stress by preventing free radicals from reacting and causing damage to cells. The ORAC test on Moringa Source Moringa Oleifera leaf powder was conducted by independent lab Brunswick Laboratories. "By commissioning the study, it was our intent to draw more positive attention to the rich antioxidants found in the phenomenal Moringa plant," Fitzpatrick said. "Equally as important is the fact that Moringa Source's Moringa Powder contains more than 27% protein including the 8 essential amino acids, 25 vitamins and minerals as well as many other beneficial phyto-nutrients." In addition to ranking first in antioxidant content, Moringa oleifera contains over 90 nutrients such as vitamins, proteins, amino acids, iron and calcium, offering unique anti-aging and energy-enhancing characteristics. The benefits of this "super plant" have been embraced as one of nature's most powerful sources of nutrients to support healthy living in the India, Africa and South America for more than 2,000 years. Health and wellness experts in the U.S., including Dr. Mehmet Oz, and in Europe have begun recommending Moringa oleifera for sustained energy and general wellness. Moringa oleifera was recently featured on "The Dr. Oz Show" as a way to jump-start the day and re-energize your life. Moringa is a raw food and is naturally vegan, caffeine-free and gluten-free. The World Health Organization and other charitable organizations currently use Moringa as a basis for daily nutritional programs helping malnourished children. Imagine a tree that will meet all your nutritional and medicinal needs and even help to ensure potable water in your home. This tree actually exists. For centuries, natives of Asia and Africa have known the many benefits of Moringa oleifera. Its uses are as diverse as the names it is known by, such as clarifier tree, horseradish tree and drumstick tree (referring to its large drumstick shaped pods). In developing tropical countries, Moringa trees have been used to combat malnutrition, especially among infants and nursing mothers. The immature pods are extremely nutritious, containing all the essential amino acids along with many vitamins and other nutrients. The immature pod can be eaten raw or prepared like green peas or green beans, while the mature pods are usually fried and possess a peanut-like flavour. The pods also yield between 38 and 40 per cent of non-drying, edible oil known as Ben Oil. This oil is clear, sweet and odourless, and never becomes rancid. Overall, its nutritional value most closely resembles olive oil. Now, researchers in a new study, which investigated the potentials of the seed, flower and leaf of Moringa oleifera, have suggested this multipurpose plant could play a role in the management of Sickle cell disease, if incorporated into their diet. In the study, the researchers tested the effects of extracts made from Moringa oleifera seeds, flower and leaf extract on red blood cells and found they were able to reverse a red blood cell that had sickle back to its normal shape. The study found that the extracts (namely methanol, ethanol, butanol, chloroform, and ethyl acetate) of the seed and flower demonstrated a higher antisickling activity in comparison to the leaf extract. But the seeds’ aqueous extracts exhibited a higher percentage reversal of sickling of all the tested parts of the plant. However, sickling reversal was more pronounced at the highest tested concentration (20 mg/ml). Although the antisickling activities of all the tested extracts/fractions compared favourably with that exhibited by PHBA, the exhibited antisickling activities were found to be concentration dependent. The study was a follow up to another which corroborated the effectiveness of Moringa oleifera in the treatment of rheumatic and articulary pain, a common practice in African folk medicine. The researchers wrote: “These findings suggest that Moringa oleifera may play a role in the management of SCD, by incorporation of its fractions into recipes. More extensive biological evaluations and further studies will be necessary for the chemical characterisation of the antisickling principles. The researchers suggested that the antisickling properties of Moringa oleifera could possibly be due to its innate antioxidants and phytochemicals, adding that the contribution of phytochemicals to the antisickling activity of any medicinal plant used in the management of SCD is not in doubt. For instance, zanthoxylol which was isolated from Fagara zanthoxyloides have been suggested to be responsible for the antisickling activity of this plant. According to them, Moringa oleifera has been reported to contain a rich store of elements like zinc, which possesses antisickling activity, as well as organic acids. Drumstick leaves are also rich sources of flavonols and Phenolic acids which could be responsible for the exhibited antisickling activities. In addition, they reported that because Moringa oleifera exhibited antiurolithiatic properties, this property may also advance its use in SCD patients, particularly to enhance kidney function. However, they stated that considering their finding that both butanol and ethylacetate fractions of MO leaf could cause destruction (lysis) of red blood cells depending on the concentration used, is an important factor that must be taken into consideration in the inclusion of MO leaf in the recipes for SCD treatment. According to them, the mode of preparation of MO in traditional recipes, as stipulated by herb sellers, was by decoction with clean water. They explained that the observed significantly higher antisickling activity of aqueous extract in this study, supports the herb sellers stipulated method of preparation. Sickle cell disease (SCD) is caused by a genetic abnormality in the gene for haemoglobin, which results in the production of sickle haemoglobin. When oxygen is released from sickle haemoglobin, it sticks together and forms long rods, which damage and change the shape of the red blood cell. The sickle red blood cells cause the symptoms of sickle cell disease. Sickle cell disease has become a challenge in the African continent with about 89 per cent of global sufferers of SCD. About 25 per cent of the SCD patients in the world are in Nigeria. Children are born with sickle cell disease; it is not contagious. Symptoms of sickle cell crisis include: severe pain, anaemia, chest pain and difficulty breathing, joint pain, chest pain and difficulty breathing. The Moringa tree has great use medicinally both as preventive and treatment. Much of the evidence is anecdotal as there has been little actual scientific research done to support these claims. It range of medicinal uses include prevention and treatment of cancer, protection against ulcer as well as in the lowering of blood pressure Its healing ability and antibiotic properties have been demonstrated . Additionally, the root bark has been used as an analgesic, worm expeller and treatment for heart complaints, as well as for eye diseases, inflammation and dyspepsia. 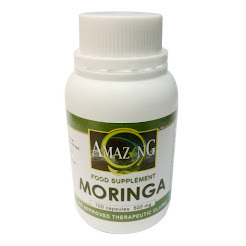 Moringa Oleifera is energizing the world, as featured on Dr. Oz Show. three times more iron than spinach. Dr. Oz Show and Discovery Channel, this wisdom is now coming to the West. Quoting Dr. Oz: "The leaves of the Moringa Oleifera tree [...] are extremely nutrient-dense. including vitamin C, vitamin A, calcium, and potassium, as well as powerful antioxidants." water, to cook tasty meals, as a healthy and energizing alternative to coffee, etc. By definition, health foods are foods believed to be highly beneficial to health, especially a food grown organically and free of chemicals. According to government research, an apple can have as many as 36 different pesticides sprayed on it. Organically grown translates to cleaner water and air due to farming methods that rely on natural pest control. Having bad health affects not only ourselves, but those we love as well. Organic means healthier environments, healthier communities, and healthier families. Moringa also gives you Z-Atin, the stimulant- free natural trigger for your metabolism that launches your body into absorption mode. 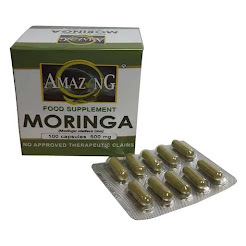 Moringa has been formulated to provide you with the highest degree of effective absorbability. TheMoringa is organically grown, shade dried and powdered to maintain the maximum nutritive value, and is tested to be pesticide free. Give your body the nutritional nudge it needs with a healthy food supplement. Active Adults: on-the-go lifestyle. Working 8-10 hours a day and trying to keep up with other activities. Senior Adults: lessened ability to absorb nutrients, lower metabolism, and less energy. Children: hard to get them to eat right even if you cook healthy food for them; they often snub vegetables. Parents: no time to think about their own nutrition; too busy. Teenagers: immortal attitude, don’t think about and don’t care about what fast food does to them; not worried about the future. Athletes: need extra protein and other nutrients for their training regimen. Travelers: fatigue; most meals are fast food. Overweight But Undernourished: even when food is plentiful, it doesn’t always provide proper nutrition. Vegetarians: sometimes it’s hard to get the right kind of protein in the right amounts. Lactating Mothers: Moringa has been shown to increase milk supply. MORINGA Improves the effectiveness of balanced nutrients in the body including the treasure trove of nutrients you’re already getting just by drinking Moringa. Moringa literally sets your nutritional process in motion. It is the perfect balanced, natural combination of zeatin, quercetin, beta-sitosterol, caffeoylquinic acid, and kaempferol, naturally found in Moringa Oleifera. Retired Colonel Dr. Ansu R. Sankoh has disclosed that Moringa a traditional plant can cure strokes, asthma, blood pressure, Ulcer and other sickness. The Retired Colonel made this statement over the week end during presentation of Moringa seedlings to household farmers in Bumbuna for onward planting in their back yard garden and farm to multiply and later use. Dr. Ansu R. Sankoh who is presently operating a health center in Bumbuna town in Tonkolili district said he had tried Moringa herbs on some of his patients with strokes and even HIV. The result and their response he said shows some success and improvement. The Retired Colonel called on Sierra Leoneans to be using Moringa constantly to help improve their health status. Speaking at the distribution exercise, the publicity and communication officer Caritas Alfred Haroun Thullah said, Moringa tree can cure many diseases in man. Mr. Thullah said Moringa also promotes environmental, geographical and medical values. The Caritas communications officer assured beneficiaries and community people of Caritas taking the lead in Moringa campaign as part of their disaster risk reduction program. He urged them to cultivate the seedlings and treat them with respect and care. Director Hydro Movies Joseph Musa Koroma said, he read about Moringa long ago and discovered its importance. This he went on, “as part of our agricultural program, we now have a radio program where we discuss about Moringa and its importance,” he said. He assured Caritas of his movies intervention in ensuring they take Moringa to more communities in Tonkolili district.